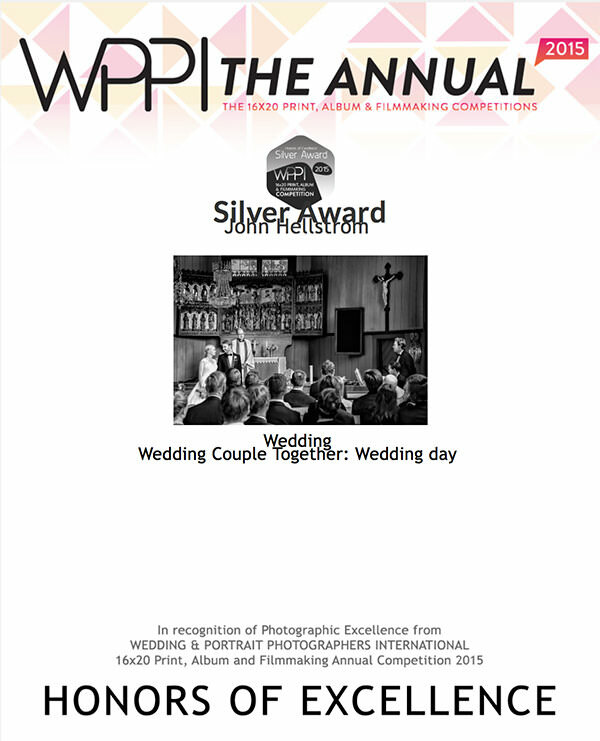 John's print Love and Music was awarded with Honors Award of Excellence Silver Award in the competition class "Wedding Couple Together: Wedding Day". The photograph captured a fleeting moment when the Charlotte and Patrik looked at each other lovingly while friends played music and sang on the other side. 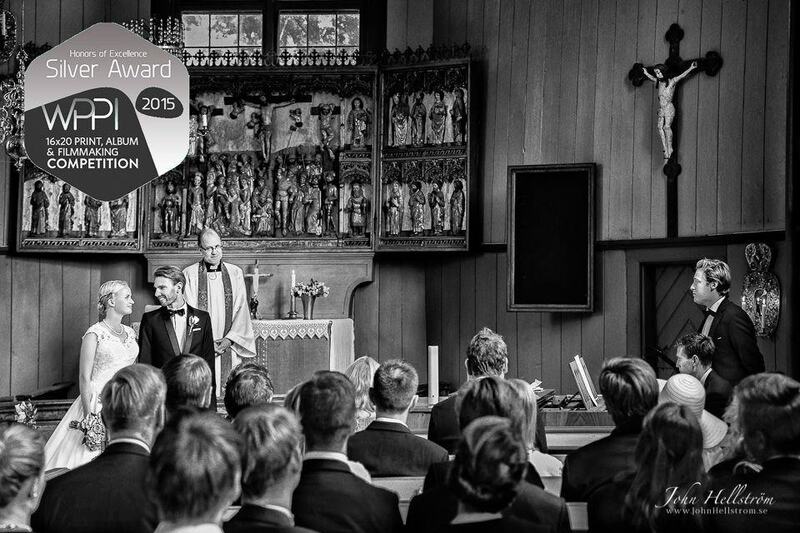 The priest stood while behind the couple and looked happily at them. "The WPPI Wedding & Portrait Photography Conference+Expo is the premier industry event for photographers and filmmakers specializing in the creative and business aspects of wedding and portrait photography and filmmaking. Each year, nearly 13,000 professional and aspiring photographers and filmmakers attend WPPI to learn new techniques from industry leaders, build new relationships to grow their business, experience new products and solutions from major manufacturers to improve their productivity, and enjoy the many attractions in Las Vegas. WPPI is a week-long event combining educational seminars with a major industry trade show and networking events, all designed around learning the latest techniques, building new relationships and growing a business in a friendly, fun environment – all at one time, in one place."